Short picatinny rail for mounting of optics to your Grizzly shotgun. Profile is correct for any Grizzly shotgun, but be sure that your model is already drilled and tapped for 6-48 screws or you will need to have your receiver drilled and tapped to accept this rail. Available in low and high versions; low version is less snag prone while the high version mates well with the high bladed sight. Please specify by email which version you prefer. 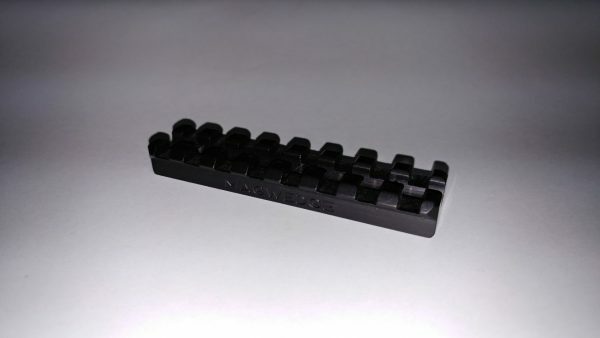 MagWedge Grizzly Shotgun Rail – Short picatinny rail for mounting of optics to your Grizzly shotgun. Profile is correct for any Grizzly shotgun, but be sure that your model is already drilled and tapped for 6-48 screws or you will need to have your receiver drilled and tapped to accept this rail.